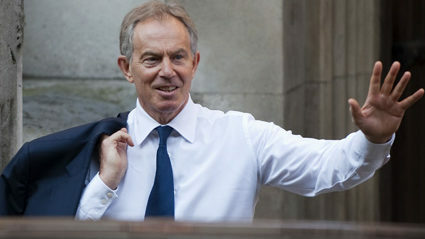 TONY Blair secretly wants to be tried for war crimes so everyone will look at him again. The former prime minister has frequently rehearsed ‘speeches from the dock’ in front of his bathroom mirror, certain it will make the nation love him once more. He said: “Sure, obviously it’d be terrible, being the first Western head of state tried as a war criminal and all the publicity attached to that. “A charismatic, straight kinda guy fighting for his freedom is going to make OJ Simpson look like nothing, isn’t it? Every headline, every day, worldwide, which would be, y’know, terrible. “But on the other hand, no matter what Cherie’s ‘legal counsel’ says about my chances, being exonerated in the eyes of the world is a hell of a bold political move, isn’t it? With Labour currently leaderless? ANDY Murray continues his one-man campaign to make office life more bearable with an afternoon game against Jo-Wilfried Tsonga. The world number two will face off against his French opponent at just the right time to prevent anyone having to do any work after lunch. 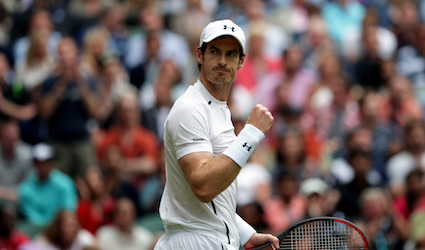 Murray said: “I’m planning to make sure that I lose the first or second set against Tsonga so the game goes on for at least three nail-biting hours.